Drawing from Borgert (1901): fig. 1. Drawing from Haeckel (1862): pl. 2, fig. 1. The figure has been slightly cutted. 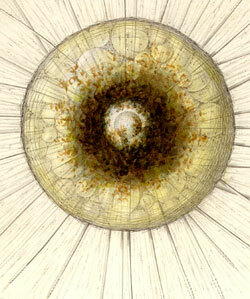 Selected part of the drawing from Haeckel (1862): pl. 2, fig. 1. 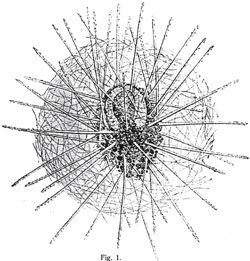 Drawing from Haeckel(1862): pl. 4, fig. 1. The figure has been slightly cutted. Drawing from Haeckel(1862): pl. 4, fig. 3. The figure has been slightly cutted. 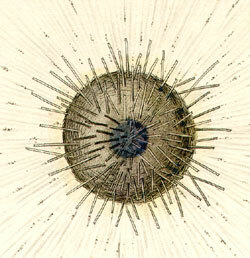 Drawing from Haeckel(1862): pl. 4, fig. 2.